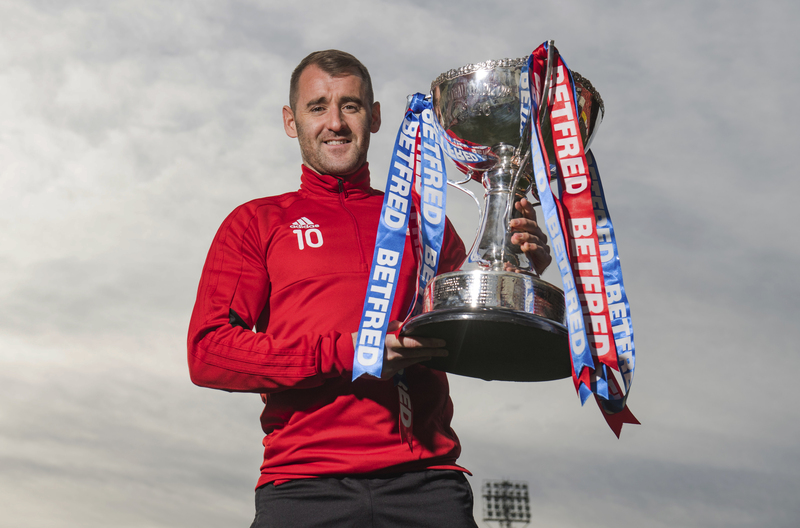 NIALL MCGINN always gets stick from Rangers fans when he’s on the park. It’s something he’s ready for. But when things spill over into day-to-day life, that’s where the line is drawn. In January, 2011, the Aberdeen star – along with Neil Lennon and Paddy McCourt – was one of three Celtic employees to whom bullets were sent in the post. The packages were never delivered, having been intercepted in a Royal Mail sorting office in Northern Ireland. And there was never any categoric proof that Rangers fans were behind it. But given that the incident happened days after McGinn and McCourt were in Lennon’s squad for a 2-0 win at Ibrox, the suspicion was there. It was a shocking turn of events for McGinn, who is now a regular Northern Ireland cap. But he knows from experience that the incident is no reflection on the vast majority of Rangers fans, whose criticism he aims to use as fuel in today’s Betfred Cup semi-final. “The Rangers fans give me stick but that always spurs me on. I take it with a pinch of salt,” said McGinn. “It’s a strange one for me because a lot of Rangers fans also support Northern Ireland. “Over the years, most of the Northern Ireland fans have been absolutely brilliant. “As long as you’re giving 100% on the pitch for your country, it’s never an issue. “But there’s always one or two in the crowd who will give you grief. I have to use that as inspiration to do well and succeed with your club. “I’ve never had any real, major problems off the pitch with Rangers fans since the incident when I was at Celtic. “Living in Glasgow, there was always one or two. But the majority of them were fine with me. “Some of them are Northern Ireland fans as well, so if I’m doing well for the national side they can’t complain. Getting at opposition full-backs is what McGinn and fellow Dons wide man Gary Mackay-Steven do best. Former Hibs boss Alan Stubbs identified Rangers’ James Tavernier as a weak link as the Hibees won the Scottish Cup in 2016. McGinn, unsurprisingly, isn’t willing to go anywhere near as far. But the confident star believes he can do damage on both flanks at Hampden today. “It’s a big pitch so hopefully the likes of myself and Gaz can take advantage of that,” he said. “Rangers are coming off the back of a European game on Thursday night as well, so that might go in our favour, too. “As the game goes to the latter stages, or if it goes to extra-time, hopefully we’ll have the legs to benefit. “I always believe in any game that me and Gaz – or when Jonny (Hayes) was here – that we have the beating of most full-backs. The final game of McGinn’s first spell at Aberdeen was their heartbreaking Cup Final defeat to Celtic’s “Invincibles” in 2017. The Northern Irishman thought his chances of adding to the League Cup medal he won with the Dons were done. But after an ill-fated spell in South Korea, he is back, and determined to help the Dons to glory. “It’s massive to have the chance to get to another final with Aberdeen,” he said. “Getting to semi-finals and finals, and winning trophies, that’s what I’m here to do. “Semi-finals are always tough, but whether you win it comfortably or get a lucky break, you’ll take a win at the end of the day. “Looking back, losing the final to Celtic in the manner we did, so late on, was a massive disappointment. “Afterwards, I did feel I was moving on to something else. “But here it is. I’ve got another opportunity. We’re in the semi-finals again, which is great, and it’s why I came back here – to play in big games. “It has been a great period in my career at Aberdeen.